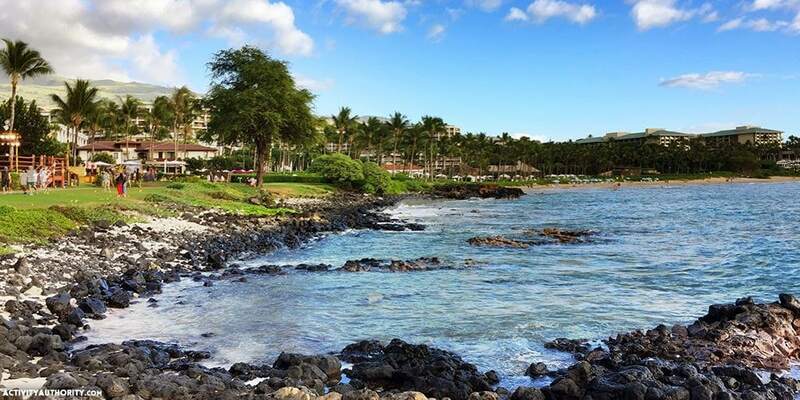 Located at the Wailea Beach Marriott Resort in South Maui, Te Au Moana, meaning ‘the ocean tide’ in Hawaiian, is a delightful luau about the aspects of life that connect all of Oceania. Guests will be entertained with song, dance and ancestral storytelling, as well as skill demonstrations that have connected Polynesian settlers to the earth’s elements since the beginning of time. Perfect for groups of friends, couples and families, each guest of Te Au Moana will receive a fresh flower lei or carved wooden fish hook necklace, as well as the opportunity to witness the famed Hawaiian Imu (underground baking oven), flower crafting, hula dancing, kapa and bookmark making, storytelling, coconut shucking, and other Polynesian crafters. 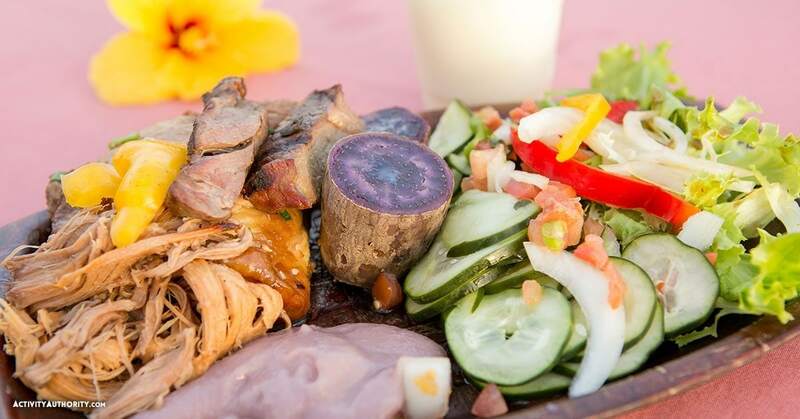 The menu includes various Hawaiian specialties like Imu baked Kalua Pig, Shoyu Chicken, Hawaiian Fried Rice, Molokai Sweet Potatoes, Lomi Lomi Salad, Macaroni Salad, Poi and Coconut Haupia, as well as a wide assortment of worldly cuisine to please each and every guest, including Grilled Teriyaki Steaks, Seafood Pasta, Stir Fried Vegetables, Tossed Kula Greens, Pineapple Coleslaw and several mouthwatering dessert options. Choose from an assortment of blended tropical drinks, and enjoy the show and scenic sunset from your seat! Imu baked pig, teriyaki steak, seafood pasta, shoyu chicken, Hawaiian fried rice, Molokai sweet potatoes, stri fried veggies, tossed Kula greens, mac salad, lomi lomi salad, poi, chuka soba noodle salad, pineapple coleslaw, rolls and butter, coconut haupia, double chocolate cake, coconut macaroons, brownies, recan chocolate chip cookies, key lime squares, carrot cake, open bar and blended tropical drinks. 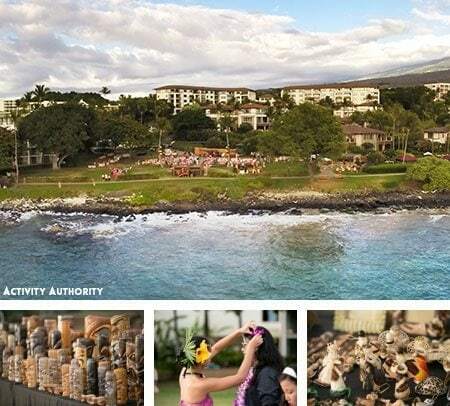 Receive fresh flower lei or carved wooden fish hook necklance, witness Imu (Hawaiian underground cooking oven), flower crafting, Kapa and bookmark making, casual hulas and storytelling, Polynesian Crafters. No refunds or cancellations within 24 hours. We had the best time! So convenient too, since we were staying at the Marriott. Great food, fun show, perfect sunset. Just what we needed to unwind before our week trip. Mahalo!